I'm apparently forced to select used for the lens condition even though probably only "used" it five times. Absolutely no blemishes. I purchased it new. The Nikon 20 mm lens, with 11 elements in 8 groups, enables you to alter the focus according to the type of photography required. The traditional spherical design of this Nikon lens rectifies aberrations of objects found in the close range. This multicoated Ultrawide angle lens allows you to shoot bright pictures. Featuring a 7 blade diaphragm and stops down to f/22, even out-of-focus objects come clear with this Nikon lens. With a Maximum Reproduction Ratio of 1:10.8, this Ultrawide angle lens captures minute details of small objects very clearly. The Nikon 20 mm lens with a maximum aperture of f/1.7 provides great contrast and sharp colors. Tiny, SHARP.!! beautifully made, get one. 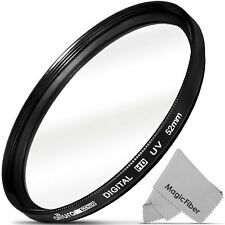 I bought this lens for use on my Fuji X-Pro1 camera; together with an adapter, this allows me to use legacy Nikon glass. So far, I have the Nikon 20mm f/3.5, the Nikon 50mm f/1.2, the Nikon 85mm f/2.0, the Nikon 105mm f/2.5, the Nikon 135mm f/2.0 and the Nikon 400mm f/5.6. This 20mm f/3.5 is a great little lens on the X-Pro1, it gives me a great field of view for landscapes or indoor shots, as well as being great for panoramas. It is a SHARP little lens.!! Very impressive color rendition and being made of metal and one of Nikon's better pieces of glass, I am really happy with it. The tiny size of the lens helps keep the camera unobtrusive. It’s really difficult to find this level of quality in a lens of today. And yet this design is from the late 60s. The construction quality cannot be matched with anything produced today. This lens, although an older design, competes very evenly with today’s designs. A lens like the 20 mm NIkkor UD is the reason Nippon Kogaku succeeded where others failed. Sometimes the lens is more than just a device for taking pictures. Super sharp with beautiful image quality especially when stopped down. Great lens for those not afraid from full manual work. Great Value!